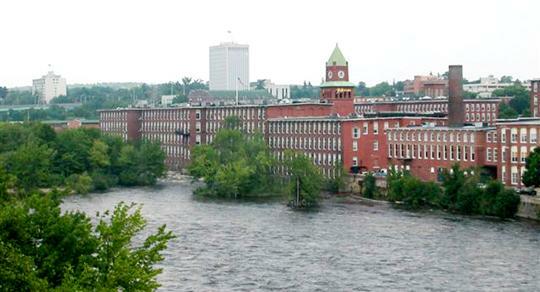 New Hampshire counties were first created by the Provincial Act of 1769. The act divided the Province into five counties because "the holding of sessions of the superior court of judicature solely at Portsmouth or Exeter had rendered the administration of justice very expensive and difficult and in some cases almost impracticable, the people being generally not of sufficient ability to travel far." This act defined the geographical boundaries for the Court of General Sessions of the Peace and conferred upon the Justices the power to assess taxes for "Building, Inspecting and Repairing all Prisons, Courthouses and other necessary public edifices within their respective counties. 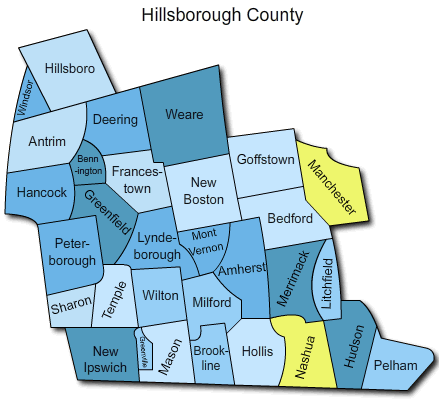 Hillsborough County was one of the five original counties created by this act. The County began to execute its legal authority on March 19, 1771, when approval was received from the King of England. The original jurisdiction of the County included 13 towns that are now in Merrimack County. Updated: 18th April, 2019 12:59 PM.